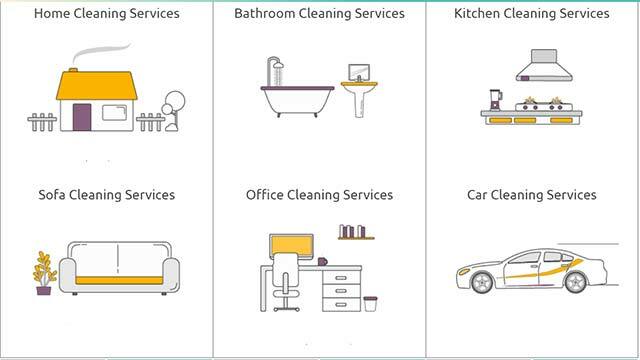 Delhi-based cleaning services provider Broomberg Cleaning Services Pvt Ltd has raised an undisclosed amount in funding in pre-series A round of funding from a group of angel investors and high net-worth individuals (HNIs). "Two of them are angel investors while eight are HNIs," Samrat Goyal, co-founder, Broomberg told Techcircle.in, but declined to disclose their names. "We will use the funds to build a strong management team and will explore new avenues of marketing for Broomberg," he added. Meanwhile, Broomberg, which offers cleaning services through its own personnel, has also entered into a strategic partnership with on-demand cleaning services marketplace HELPI to access customers on each other's platform. At a time when the home services segment is seeing consolidation, the two have preferred to go for a revenue sharing tie-up instead of a merger. In February, Bangalore-based Sarvaloka Services On Call Pvt Ltd, which operates home services marketplace Housejoy, acquired at-home personal fitness tech startup Orobind Fitness Technologies Pvt Ltd for an undisclosed amount in an all-stock deal. It also acquired cleaning and laundry startup MyWash Technologies Pvt Ltd. In the same month the on-demand home services platform Zimmber, acquired Gurgaon-based FindYahan India Pvt Ltd. Last year, Paytm acquired homeservices provider Near in in December. However, Goyal says Broomberg is not looking at any merger and a strategic partnership would help it expand its customer base faster. "We believe in providing specialised cleaning services with special equipment and a trained workforce while HELPI specialises in on-demand everyday cleaning. Our business models are completely different and our focus will remain on our current service offerings," said Goyal. Broomberg will get to keep 10-20 per cent commission on orders generated by HELPI from the former's platform. Similarly, for orders generated on the HELPI platform, Broomberg will keep 80-90 per cent of the commission while HELPI will get the remainder. However, both the entities will maintain their distinct branding on each other's platform. "Startups have a significant growth plan in mind and for that we do recommend collaborating and co-existing with each other in order to drive the change in customer behaviour and keep growing," said Sunil Goyal, CEO and founder of early-stage VC fund YourNest. "So it's a good move." "We are looking forward to work closely with Broomberg. Through this partnership our customers will get a holistic cleaning solution," said Vineet Bansal, co-founder, HELPI. Broomberg provides specialist cleaning services such as bathroom cleaning, kitchen cleanup, auto cleaning and sofa cleaning in Delhi, Gurgaon and Noida. It does about 30 jobs per day. Broomberg was founded by Samrat Goyal and Ishan Baisoiya in 2014. Goyal has previously worked at Boston Consulting Group and KPMG in consulting roles, while Baisoiya worked as a real estate consultant with Investors' Clinics. HELPI, run by Handy Online Solutions Pvt Ltd, was founded by IIT Bombay alumni Vineet Bansal, Sariputra Waghdhare and Piyush Peshwani in July 2015. 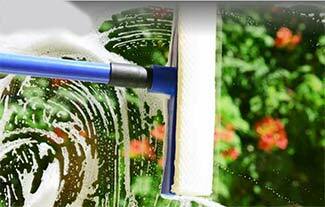 The company provides home cleaning services in Gurgaon and parts of Delhi. The services are priced at Rs 149 per hour, and the average ticket size for the company is Rs 250.